The thin type slip ring SRG-35-6G(100BASE) is used in our PAN-TILT HEAD. 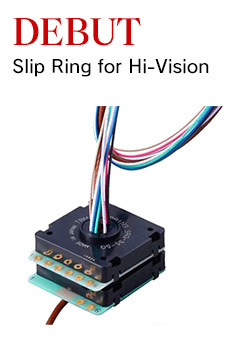 JETRO interviewed about our Slip Rings. This page uses an in-line frame. The page can be copied by the mouse's right-clicking. Copyright(c)TSUBAME RADIO CO.,LTD.All Rights Reserved.